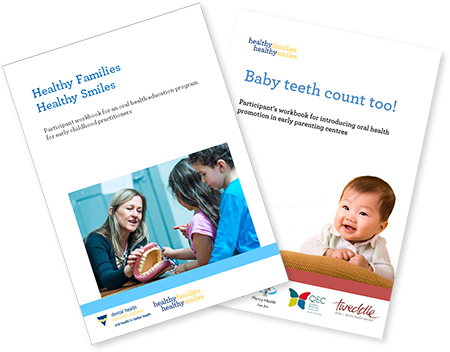 Healthy Families, Healthy Smiles aims to improve the oral health of Victorian children aged 0-3 years and pregnant women by building capacity of health and early childhood professionals to promote oral health. For more information about how you can promote oral health in your work visit our professionals’ page www.dhsv.org.au/professionals. The Victorian Government Department of Health and Human Services funds Dental Health Services Victoria (DHSV) to deliver the Healthy Families, Healthy Smiles initiative. Why children aged 0-3 years and pregnant women? Dental admissions are the third highest cause for preventable hospital admissions in children under 5 years of age. Nearly one half of 6 year old children have a history of decayed baby teeth. Early childhood is a critical time when lifetime habits are established. Early childhood dental decay influences long term oral health as well as general health and wellbeing. Pregnant women are at increased risk of gum disease and links exist between advanced gum disease and premature and low birth weight babies. Poor oral health of mothers is associated with early childhood caries in their children. Dental decay is Victoria's most prevalent health problem. The Midwifery Initiated Oral Health Education Program (MIOH) is an online training course that equips midwives working in antenatal care with the skills and confidence to include oral health in their practice. The MIOH e-learning program is a collaborative partnership with the Centre for Applied Nursing Research, Western Sydney University, Sydney and South Western Sydney Local Health District/Ingham Institute Applied Medical Research. Midwives working in antenatal care can click on the button to express interest in enrolling in this course. The Healthy Little Smiles education program consists of an oral health promotion resource kit and a two hour workshop for early childhood educators. The program supports long day care, family day care and kindergartens to engage children and families about oral health and embed oral health promotion within their services. 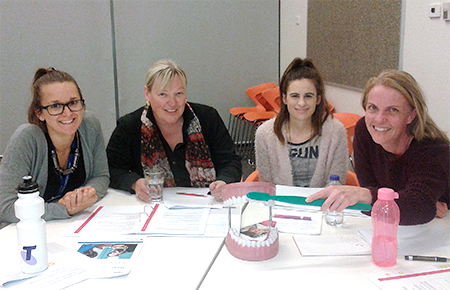 The Healthy Families, Healthy Smiles team also work with tertiary education providers to embed oral health in early childhood education and care curriculum. For more information contact the Healthy Families, Healthy Smiles Team. 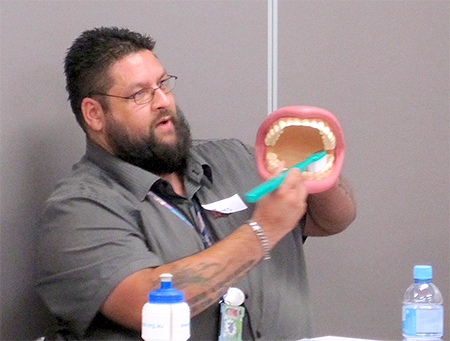 Bigger Better Smiles is an oral health education program for staff working in Aboriginal Health Services. The program was developed in partnership with Mallee District Aboriginal Service (MDAS). The program aims to build knowledge, skills and confidence to integrate oral health promotion across the service, focussing on workers who see families with young children and pregnant women. For more information or to submit an expression of interest Aboriginal Health Services can contact the Healthy Families, Healthy Smiles Team. 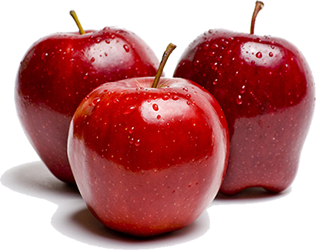 This flipchart resource is an educational tool developed especially for supported playgroups. There are 13 key messages about good oral health in the flipchart as well as dental services information and other useful links. The flipchart can be used to start discussions with families about oral health. The package includes a flipchart and a user's guide and is supported by a training session to build confidence, knowledge and skills to promote oral health in the supported playgroup setting. Contact the Healthy Families, Healthy Smiles Team for more information or to submit an expression of interest. Contact the Healthy Families, Healthy Smiles Team for more information. 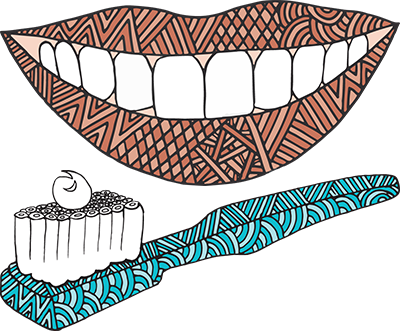 Diet is a key factor in oral health so Dental Health Services Victoria partnered with the Dietitans Association of Australia to develop a national position statement on oral health and nutrition. 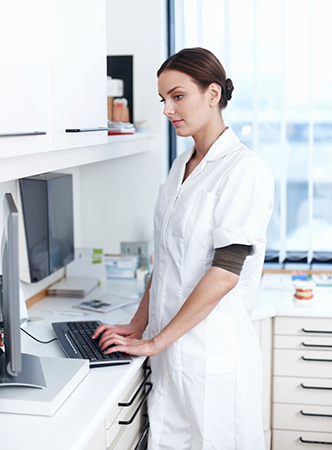 This position statement provides the basis for dietitians to incorporate oral health in their role by providing evidence based oral health information for dietitians, setting out how oral health can be incorporated into the various roles of dietitians and providing a framework for building capacity of the workforce. For more information contact the Healthy Families, Healthy Smiles Team. Pharmacists are easily accessible and trusted professionals so they are an important group to work with to improve oral health in the community. A partnership between the Victorian Branch of the Pharmaceutical Society of Australia (PSA), Dental Health Services Victoria and the Australian Dental Association Victorian Branch resulted in a joint position statement on oral health which provides a foundation for pharmacists and the dental sector to work collaboratively to support better oral health in the community and consequently better general health. DHSV also supports professional development activities for pharmacists in partnership with PSA (Vic). You can view the statement on the pharmacists’ professional page www.dhsv.org.au/professionals/pharmacists under ‘Resources for you’. The Tooth Packs pilot study, funded by the Department of Health, was established to test whether providing tooth packs to families through the maternal and child health service improves brushing habits in children. Six targeted communities were involved in the pilot. More than 5000 toothbrushes and 3500 toothpastes were distributed to around 1500 families in the pilot which showed a trend towards better brushing habits. A Colgate grant has made it possible to continue distribution of tooth packs in these communities until mid-2017. 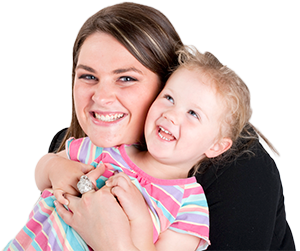 Tooth Packs is a partnership project between DHSV, Department of Education and Training and the Maternal and Child Health Services at Swan Hill, Robinvale, Orbost, Bairnsdale, Dandenong and Brimbank. DHSV has a dedicated online resource centre for professionals. 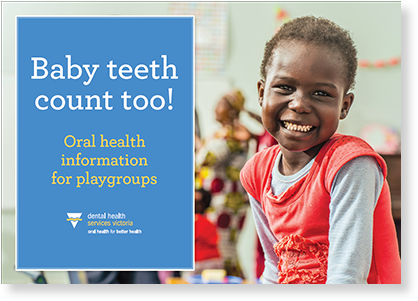 This page has a range of oral health promotion guidelines, toolkits and manuals suited for health and early childhood professionals.